ALL SUPPORT NEEDED FOR THE ABOVE GAMES!!! Moynalvey went down to a far superior Dunboyne outfit in round one of the Seamus Connolly Junior ‘B’ football championship played at Dunshaughlin on Thursday night April 11th. 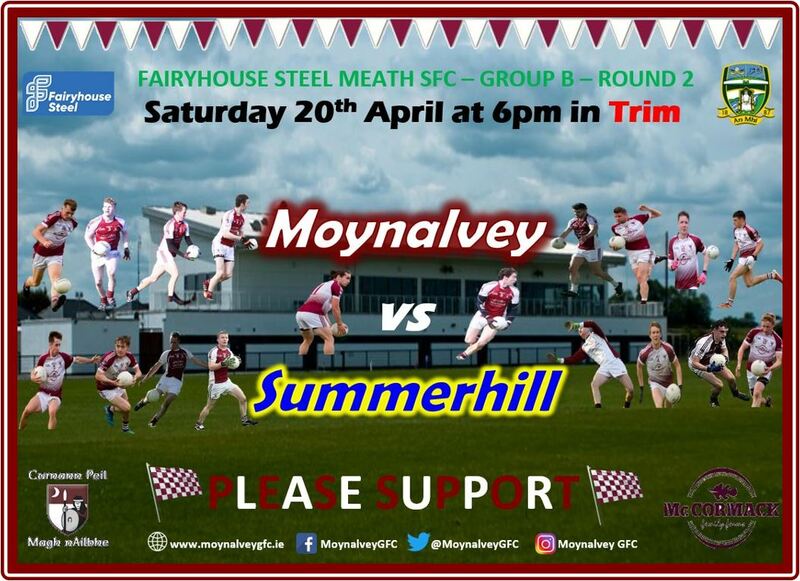 Moynalvey recorded a comfortable win over Rathkenny in the opening round of the Fairyhouse Steel SFC at Skryne on Saturday evening 6th April. Please see below details of entry fees for Meath GAA competitions for 2019. Advance notification of the dates for the 2019 Kelloggs Cúl Camps. 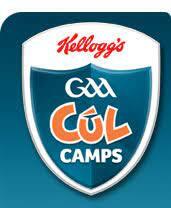 Moynalvey's Football Cúl Camp will take place 8-12th July. NOTE: Approximately a month earlier than last year. NOTE: Last Year we had a camp at full capacity (100 places) - So Please Book Early! !